An apron for the woodworking, automotive-tooling, or barbecuing man (or woman) in your life, Kaufmann Mercantile’s “Stronghold” apron is as durable as its name implies. 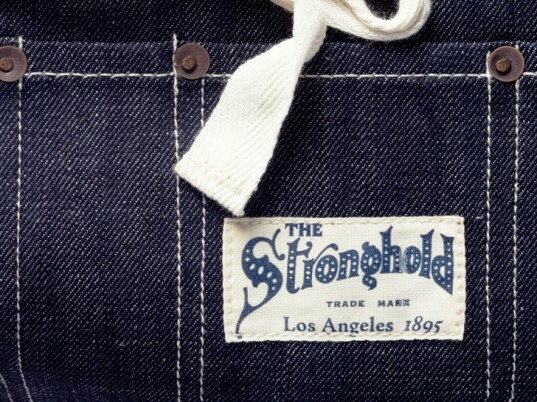 Made in California from Japanese organic-cotton selvage denim, which is woven on a shuttle loom to form a “self-edge” that doesn’t unravel, the apron is an industrial garment designed to resist lifetimes of wear and tear. With selvage denim making a comeback from the ’60s, it’s only apt that Kaufmann’s fabric is dyed using plant-based indigo and ancient loop-dyeing machines (rather than newfangled sulfur dye, which isn’t as colorfast). Used over the years, each apron will develop a patina unique to its owner and the experiences they share. Its seven pockets should come in pretty handy, too. 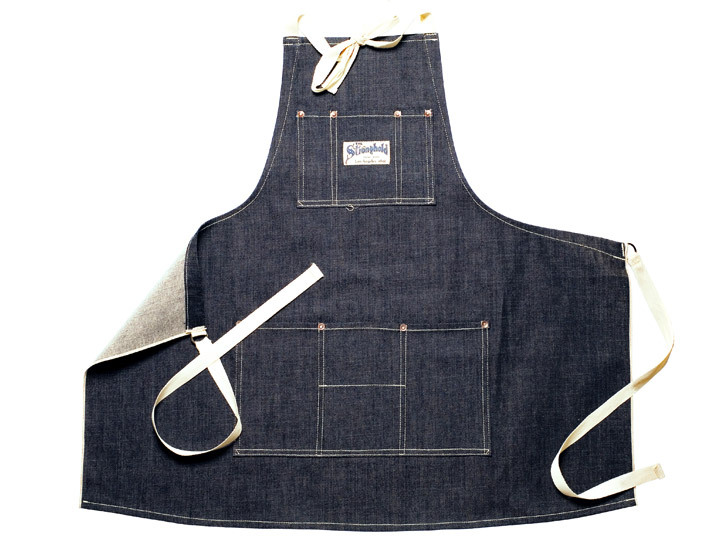 An apron for the woodworking, automotive-tooling, or barbecuing man (or woman) in your life, Kaufmann Mercantile's "Stronghold" apron is as durable as its name implies. Made in California from Japanese organic-cotton selvage denim, which is woven on a shuttle loom to form a "self-edge" that doesn't unravel, the apron is an industrial garment designed to resist lifetimes of wear and tear.